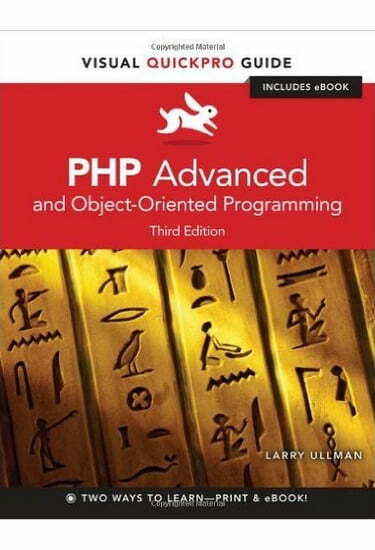 Readers can take their PHP skills to the next level with this fully revised and updated PHP Advanced: Visual QuickPro Guide, Third Edition! Filled with fourteen chapters of step-by-step content and written by bestselling author and PHP programmer Larry Ullman, this guide teaches specific topics in direct, focused segments, shows how PHP is used in real-world applications. The book teaches developing web applications using advanced PHP techniques and advanced database concepts, and this edition offers several chapters devoted to object-oriented programming and all-new chapters on debugging, testing, and performance. Author hosts a popular companion website at larryullman.com, where readers can freely download code used in the book, access a user forum and book updates, and get advice directly from the author.